You” or “User” means the person specified as the user in the registration form or the person visiting the Site. Air Race CC Ltd is the owner or the licensee of all intellectual property rights in the Site, and in the material published on it. Those works are protected by copyright laws and treaties around the world. All such rights are reserved. Air Race CC Ltd’s status (and that of any identified contributors) as the authors of content on the Site must always be acknowledged. You must not use any part of the content on the Site for commercial purposes without obtaining a licence to do so from Air Race CC Ltd or Air Race CC Ltd’s licensors. While Air Race CC Ltd has made every attempt to ensure that the information contained on the Site is accurate and reliable at the time of its publication, it cannot accept responsibility for any errors, omissions or inaccuracies or for the results obtained from the use of such information. The information on the Site and its associated websites should be used for guidance and educational purposes only and is not intended to replace medical advice. Each case or situation is unique and users are advised that definitive advice can only be provided from the appropriate medical professionals. It is your responsibility therefore to consult a medical professional before attempting any of the training and / or exercises outlined within any area of the website, links or associated downloads. Information may be changed or updated without notice. The information contained herein is provided “as is” without any express and/or implied representations or warranties. 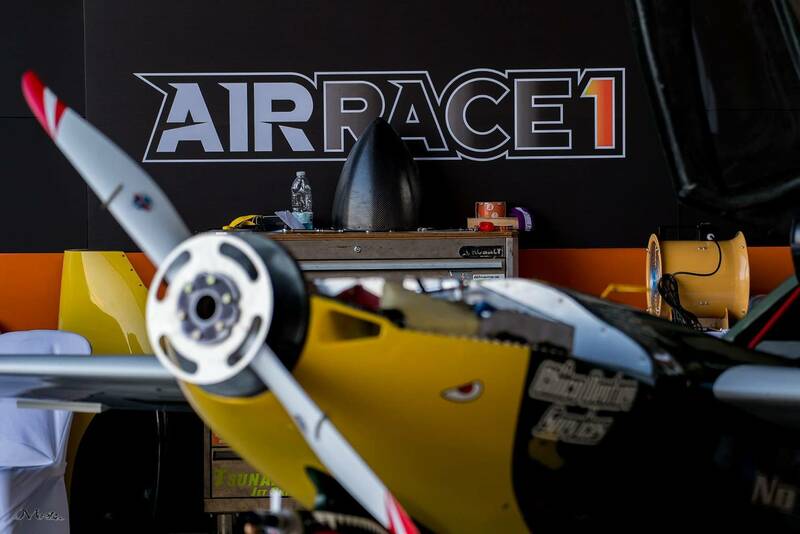 Air Race CC Ltd disclaims all warranties with regard to the information contained on the Site including all implied warranties of merchantability and fitness for a particular purpose. Air Race CC Ltd may change or make improvements to the products and/or the services described at any time without notice but does not assume any responsibility to update it. Air Race CC Ltd does not guarantee that the Site, or any content on it, will always be available or be uninterrupted. Access to the Site is permitted on a temporary basis. Air Race CC Ltd may suspend, withdraw, discontinue or change all or any part of the Site without notice. Air Race CC Ltd will not be liable to you if for any reason the Site is unavailable at any time or for any period. To the extent permitted by law, Air Race CC Ltd excludes all conditions, warranties, representations or other terms which may apply to the Site or any content on it, whether express or implied. Air Race CC Ltd will not be liable for any loss or damage caused by a virus, distributed denial-of-service attack, or other technologically harmful material that may infect your computer equipment, computer programs, data or other proprietary material due to your use of the Site or to your downloading of any content on it, or on any website linked to it. Air Race CC Ltd assumes no responsibility for the content of websites linked on the Site. Such links should not be interpreted as endorsement by us of those linked websites. Air Race CC Ltd will not be liable for any loss or damage that may arise from your use of them. Air Race CC Ltd does not guarantee that the Site will be secure or free from bugs or viruses. You must not misuse the Site by knowingly introducing viruses, trojans, worms, logic bombs or other material which is malicious or technologically harmful. You must not attempt to gain unauthorised access to the Site, the server on which the Site is stored or any server, computer or database connected to the Site. You must not attack our site via a denial-of-service attack or a distributed denial-of service attack. By breaching this provision, you may commit a criminal offence under the Computer Misuse Act 1990. Air Race CC Ltd will report any such breach to the relevant law enforcement authorities and Air Race CC Ltd will co-operate with those authorities by disclosing your identity to them. In the event of such a breach, your right to use the Site will cease immediately. You may link to the Site’s home page, provided you do so in a way that is fair and legal and does not damage Air Race CC Ltd’s reputation or take advantage of it. You must not establish a link in such a way as to suggest any form of association, approval or endorsement on Air Race CC Ltd’s part where none exists. Although most of the services on the Site are available for free, you agree to pay any fee for any services that you use which are not free of charge. Air Race CC Ltd will notify you in all cases if the service you are trying to access is not free and give you the opportunity to choose to pay the fee for such a service (there are currently no fee based services on the Site). You are responsible for all use of any services made using your email address and password. You are responsible for protecting and securing your password from unauthorised use. If you believe there has been a breach of security of your password you should notify Air Race CC Ltd immediately, or change the password using the facilities provided. You must not disclose your password to any third party to allow them gain access to the registered service. The user agreement allows only one user per registration. It is strictly forbidden for your access details to be used by another person to allow them into the registration areas. Air Race CC Ltd has the ability to monitor access to the Site and reserves the right to cancel, without warning, any user abusing this agreement. In addition to locally mounted information, hyperlinks are provided to external websites and/or information sources as a service to you. All links are provided consistent with the academic mission of Air Race CC Ltd. The appearance of external hyperlinks shall not be taken as implying any connection between Air Race CC Ltd and the linked external information sources. These external information sources are outside Air Race CC Ltd’s control. It is your responsibility to make your own decisions about the accuracy, reliability and/or correctness of the information contained therein. The appearance of external hyperlinks does not constitute an endorsement by Air Race CC Ltd of the linked web sites, or the information, products or services contained therein nor does Air Race CC Ltd exercise any editorial control over the information which you may find at these locations. By providing material on the Site, Air Race CC Ltd does not promise that the materials will remain available to you. Air Race CC Ltd is entitled to terminate all or any portion of the Site at any time, without notice to you. Air Race CC Ltd also reserves the right to change the terms, conditions, and notices for the Site at any time by updating this posting. Your use of the Site following any such changes will constitute your consent to such modified terms. You agree to review these terms regularly to verify for changes. Certain provisions of these terms may be superseded by expressly designated legal notices or terms located on particular pages on the Site. This agreement is effective until terminated by either party. You may terminate the agreement at any time, by destroying all materials obtained from the Site, along with all related documentation and all copies and installations. Air Race CC Ltd may terminate this agreement at any time and without notice to you if, in its sole judgement, you breach any term or condition of this agreement. Upon termination, you must destroy all materials. If any provision of this agreement is unlawful, void or unenforceable, the remaining provisions of the agreement will remain in place. This is the entire agreement between you and Air Race CC Ltd regarding all aspects of your use of the Site. If you are a consumer, please note that these terms, their subject matter and their formation, are governed by English law. You and Air Race CC Ltd both agree that the courts of England and Wales will have non-exclusive jurisdiction. However, if you are a resident of Northern Ireland you may also bring proceedings in Northern Ireland, and if you are resident of Scotland, you may also bring proceedings in Scotland. If you are a business, these terms, their subject matter and their formation (and any non-contractual disputes or claims) are governed by English law. You and Air Race CC Ltd both agree to the exclusive jurisdiction of the courts of England and Wales. © Air Race CC Ltd. All rights reserved.